Posted by Amy King & archived under Architecture, Arts & Culture, The environmentalist, Wellbeing. Atelier Ten is part of the longest public art commission in the world. 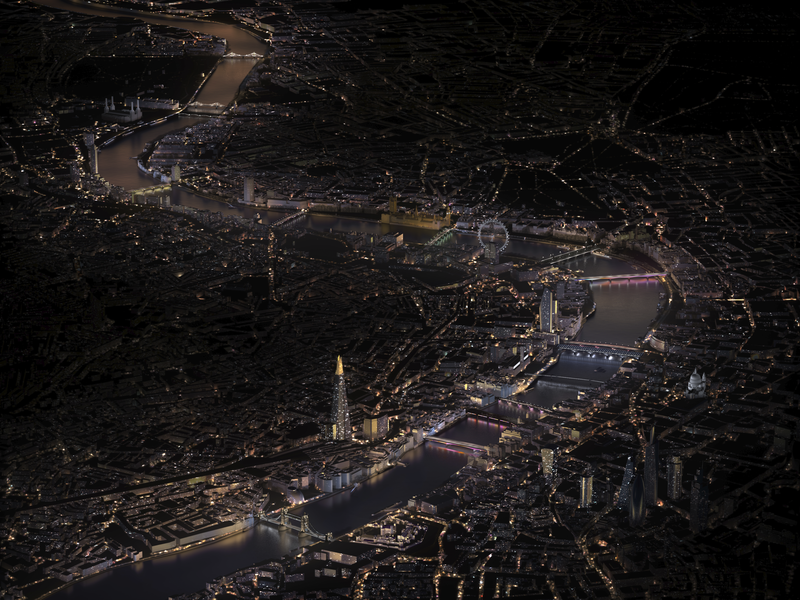 Working with the San Francisco-based artist Leo Villareal and London architects Lifschutz Davidson Sandilands, the trio are producing a theatrical event with a 2.5-mile stretch of The Thames as its stage. Every bridge linking the banks of the river will be illuminated by programmable lights that will change with the seasons and events. The Illuminated River project will run for 20 years. ‘We have had some conservation issues because most of the bridges are listed. We’ve had to do 31 planning applications and 13 listed building applications just to put lights on the bridges!’ explains Patrick Bellew, founding director of Atelier Ten, the environmental design consultants. Founded in 1990, the business was originally based near Goodge Street, where they shared an office with a structural engineering firm called Atelier One, run by Patrick’s best friend. The pair had both previously worked in a growing engineering firm who specialised in integrated design: ‘This was in the days before sustainability was a big word, but we were very interested in resource conservation and trying to make buildings that do more with less, which wasn’t really the style back then,’ he explains. In an age where glass buildings dominated, Atelier Ten’s approach to environmental design was innovative. After almost a decade in the West End, the company moved to Perseverance Works. With a headcount of 110 and large offices in New York, San Francisco, Edinburgh and Glasgow (with smaller ones in Singapore, Bangkok, Sydney and Melbourne), the company’s smart approach to building design has proved popular. These existing buildings present the biggest issues in terms of carbon emissions. They are also often the toughest ones to fix; rarely renovated and any updates are made on very tight budgets. Responding to clients’ need to see the environmental bang for their buck, Atelier Ten’s mathematicians, physicists and scientists are developing computing tools to produce hard data. ‘It used to take forever to analyse the complex thing we call a building. Nowadays we can use modern computer power to do massively more modelling and prove the things we can do to make a better building in a cost-effective way,’ says Patrick. Here in the UK, we are (on the whole) building better and more efficient buildings than we were. Slowly but surely the regulatory framework has tightened up, and the Mayor’s Office has generally taken things in the right direction. But works still needs to be done to change public perception that a greener building is a more expensive one. ‘I think one of the barriers that we haven’t cracked yet really is to show that you can consistently make better, greener buildings just by thoughtful design and without it costing much more money. That remains one of the barriers to a really massive uptake in green design. There is also a perception that somehow you are getting less, that green building is less flexible, and that’s hard to dispel,’ says Patrick. High-profile successes like the new World Wildlife Fund HQ in Woking will surely help to dispel these myths. 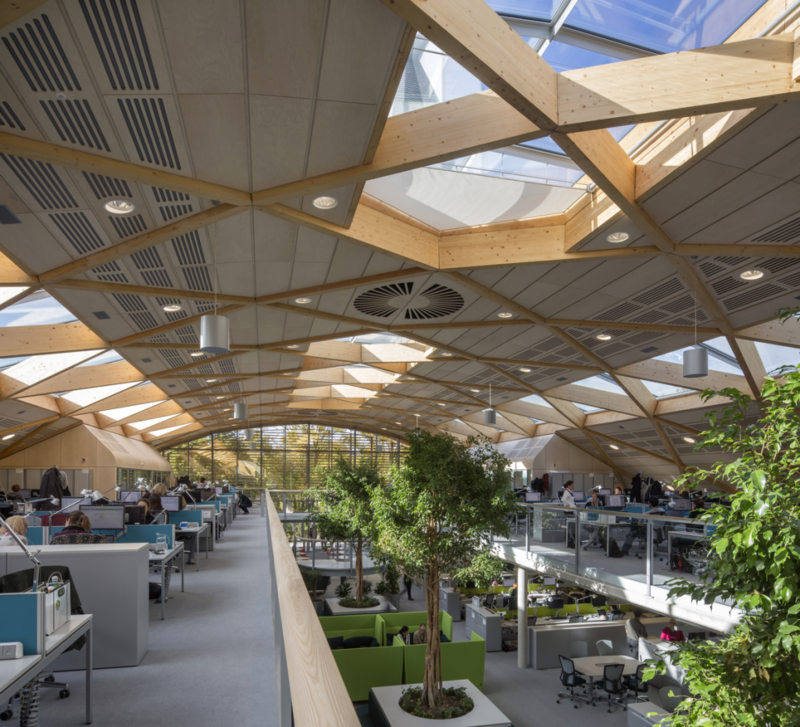 Opened by Sir David Attenborough – ‘who declared his undying love for the building!’ – the Living Planet Centre reflects the organisation’s core sustainability values. Including a mixed mode ventilation strategy (combining mechanical and natural ventilation), and a blend of natural light and efficient artificial lighting, the new building was awarded ‘Outstanding’ in the Building Research Establishment Environmental Assessment Method. The world of healthy buildings is an area the business is tackling more and more. ‘We have a couple of specialists here in our office who are working with our clients on various aspects of what makes people feel better in buildings, whether that is to do with air, light or heat. To some extent on the facilities that are provided too, but we are more into the physical side, the sensory things,’ explains Patrick. Circadian lighting that reflects the rhythms of natural light into office spaces is just one element of the company’s approach to healthy buildings. In a recent research paper, Emilie Hagen and Henry Richards from Atelier Ten wrote: ‘Light is essential. It enables our perception of form, color, and texture. It is critical to human health, influencing circadian rhythms and our energy, mood, and productivity. […] People spend much of their time in buildings, and the building façade is the membrane that allows and controls access to daylight and thus circadian function.’ Making very subtle changes – a few degrees in temperature from slightly warm to slightly cool – Atelier Ten’s specialists are working with architects to ensure office workers no longer toil under bland, flat lighting but instead feel stimulated by the light. This collaborative approach is at the heart of the business, and is the key to efficient design. 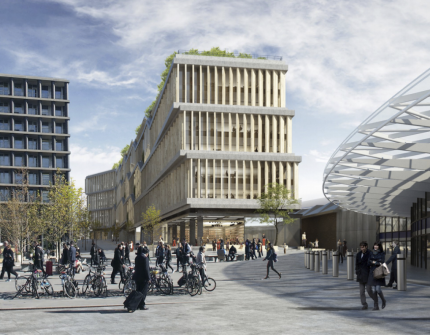 To give an example, there were more than 200 people producing drawings for Google’s new Kings Cross HQ – an 11-storey building spanning 1 million square feet. Of course, this collective approach (which had a roughly 50-50 split between architects and engineers) can prove challenging in terms of modelling alignment, but it is a vital part of efficient building design. ‘Otherwise, there are times when you think that the big architectural vision makes the environmental solution difficult to get at, because the architect has declared a vision before we have had a chance to look at the environmental side,’ says Patrick.